Pranaya Design is the name of a project that combines art, design and woodworking. 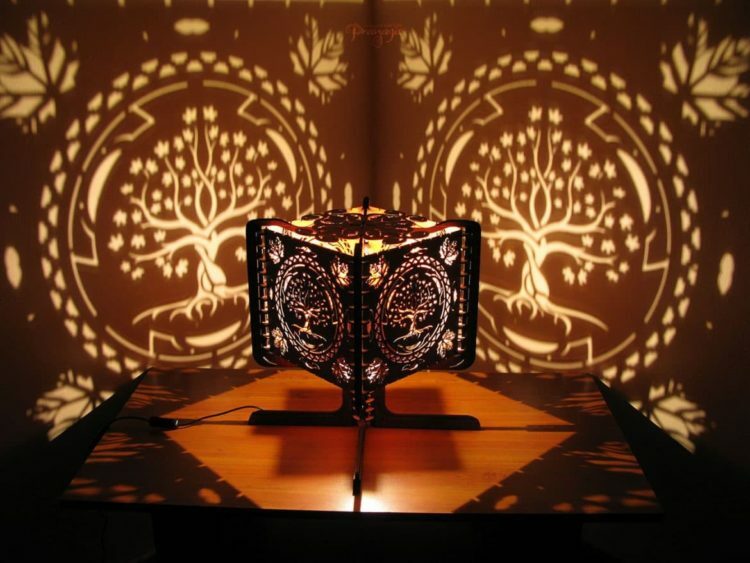 They create functional objects made out of natural materials with intricate designs with light as characteristic. Josipa is the mastermind behind the idea, design and handwork and Jirka is a true technical mastermind behind laser building and maintenance, web presentation and shop. Somewhere a year ago they came to the idea of creating wooden shadow lamps and that’s where Pranaya design idea was formed. Since they see nature and trees as sources of all life, they decided to use a tree of life as their logo and background of their name and story.